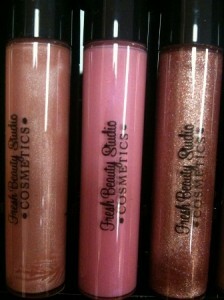 Today marks a huge accomplishment for me, Fresh Beauty Studio now has it’s very own cosmetic line. This was a long process finding the right formulations, pigments etc. You will see me use my products on my YouTube channel www.youtube.com/freshbeautystudio and you will get a feel for what they look like and how they apply. I am launching boutique makeup classes in January 2011, you can sign up on my website under Makeup Classes. Fresh Beauty Studio’s cosmetic line is Charlottle approved meaning it’s 100% cruelty-free. The line is available now in our boutique and will be available later this month online. 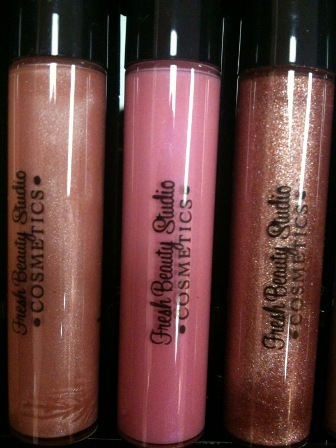 A couple of my favorite lip glosses are Lip Candy, Pink Lay, Bling Bling and Nearly Naked. I am looking forward to creating new looks for you this month on Fresh Beauty Studio’s beauty channel.